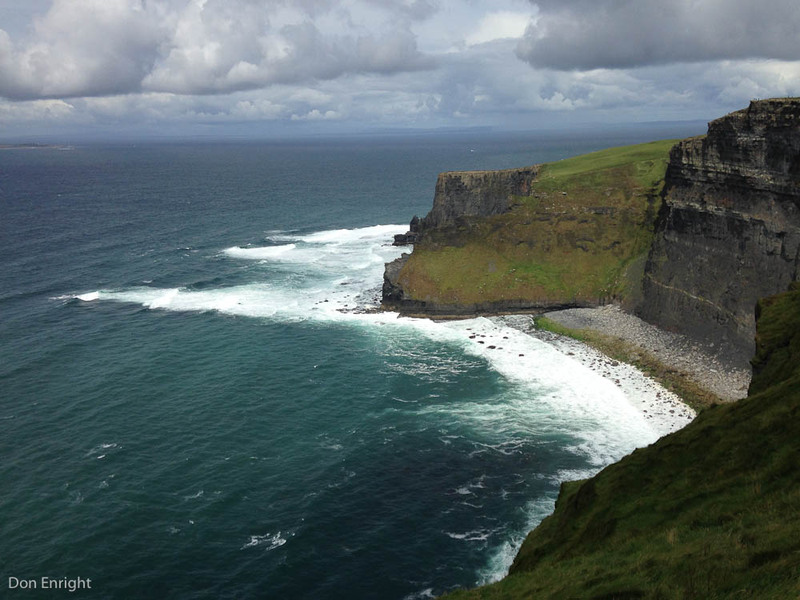 The Cliffs of Moher in Co. Clare. I don’t actually have ancestors from there; it’s just a fantastic place to photograph. The Enrights are ethnically Gaelic in origin. That might seem obvious, but this week I learned that only about 60% of the modern Irish are Gaels. The Vikings, Normans, English and many others have contributed to the Irish mosaic over the centuries; the venerable Irish names Fitzgerald and Fitzpatrick are in fact Norman. Back in the day, my Gaelic forbears were named mac Ionnrachtaigh. I’m really not sure how it was pronounced, though some of the earliest English translations give a hint: it appears as Kinrechtan, McEnrachty, Erraught, and later Enright, Enwright, Henright and Hanratty, among others. The earliest written record of the name is the account of one Father Maurice Kinrechtan/Enright who was chaplain to Earl Gerald Desmond in the late 1500s. The Earl of Desmond was a rebel, and when Elizabeth I cracked down on his activities, our man Father Maurice was thrown in prison and ultimately got his head lopped off for sneaking out to say Mass one Easter. 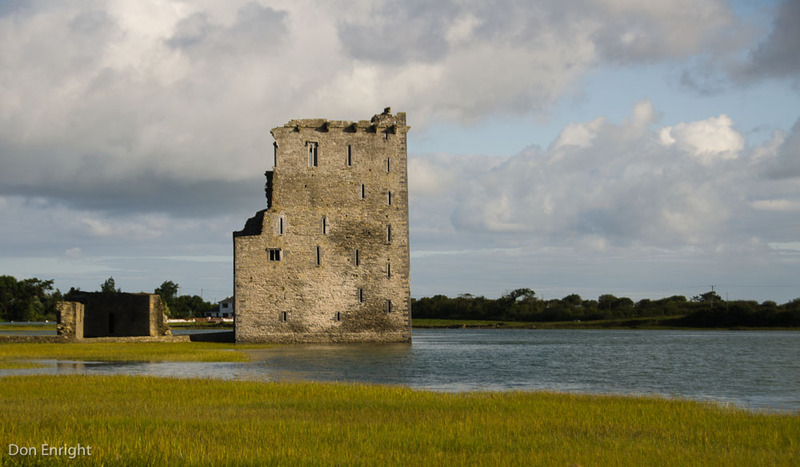 Thus our travels in Kerry this week took us to the rebel earl’s castle, Carrigafoyle, where they put up a valiant fight against Elizabeth’s crew. There was a beautiful ruined chapel across the way and I wondered if Father Maurice had worked there—I thought of saying Mass myself but my cassock was in the laundry. 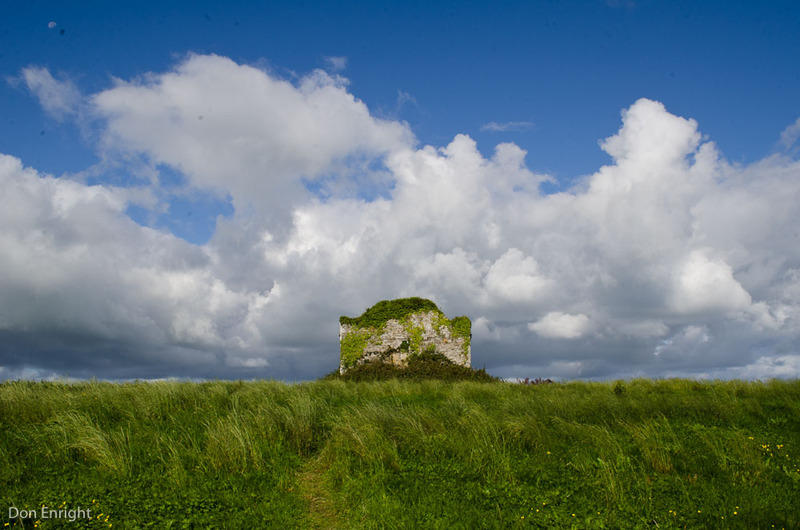 Carrigafoyle Castle, where Elizabeth put the smackdown on the rebel earl. Touring these castles and farmlands and graveyards, I tried to weave together a narrative of these early Enrights and where they lived. It’s a question that has been unanswered for a long time: fast forward a few hundred years to 1835, and my Irish ancestor Dennis appears out of the blue in Lanark County, Ontario with no immigration records, no birth certificate, nothing. His great grandson, my father, spent a fair bit of his spare time trying to track down Dennis’ story, and I think my travels in Ireland this past week were a way of trying to complete all the hard work Dad did before he died. I often wish Dad had survived to do his genealogy in the age of the Internet; the resources we have now would have amazed him. I enjoy leafing through his notes, reading the hand-written letters he sent to various parishes in Ireland. At one point Dad writes to a Sister Rita asking for her help and including a $50 cheque for her troubles; a few months later she returns the cheque as she has turned up nothing. It turns out that there are very few written records from the pre-famine era. One of our mysteries has been why Dennis emigrated at all, since it was well before the potato failure of 1845-52. All we know about him comes from a letter from one of his sons, saying his dad was from County Limerick, and he emigrated alone at the age of 21, and later sent for his widowed mother and a brother and sister. I imagine at that age Dennis would have been a burden to his mother, and had no choice but to move out and make his fortune one way or another. Canada would have been quite attractive at that time. Dennis doesn’t show up in any Irish census; most of the early ones have been lost (or blew up with the rest of the archives in Dublin in 1922). But the trail is not completely cold; we have a good idea of where the Enrights lived. The Irish have traditionally been a sedentary lot, and where the families show up in the 1911 census is likely where they’ve been for hundreds of years. From that census, it’s possible to deduce that the Enright country is the spot where western County Limerick meets northern County Kerry along the river Shannon. I spent four days there, at a beautiful cottage near Ballylongford, poking around graveyards (“burial grounds”, the Irish call them, even the modern ones), and seeing the spectacular sights of coastal Kerry. Based on my own research, there were two spots I needed to investigate. Although Dennis left no trace behind, he did leave a dead father in the ground somewhere. I’m fairly sure I know his father’s name. The Irish at the time had a tradition of naming their children along strict conventions. Your firstborn son was named after his paternal grandfather; your first daughter was named after her maternal grandmother. Son number two was named after the maternal grandfather, and onward it went. Both Dennis and his brother named their first sons Richard, so Dennis’ dead dad should have had that name. And, lucky for me, Richard is a surprisingly rare name in that era. Widow Richard Enright’s neighbourhood, Glencullaire. 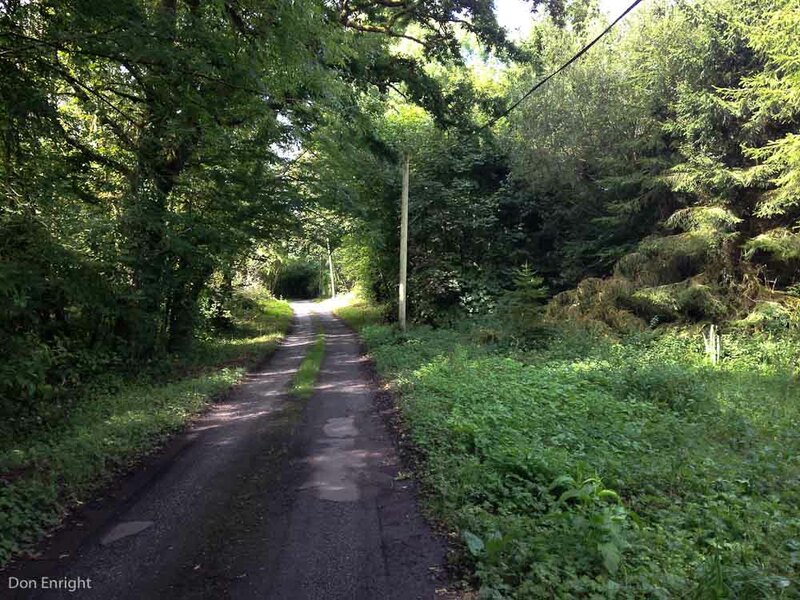 There is one other candidate site for our Dennis’ home, a bit further east in county Limerick. Its story is a bit more complicated. From my reading, I discovered that Dennis, his brother and his sister were all very tight with a Sullivan family. They lived close together in Ontario; Dennis’ sister Ellen married into their family, and they all emigrated together to Minnesota less than a generation later. These Sullivans were from a spot in Limerick called Lisready Cripps; did my Enrights and the Sullivans know each other from the old country? Further evidence: there was one more family in that Ontario-Minnesota clique, a group of Enrights who were from Kilcornan, in that same region of Limerick. I still don’t know how my Enrights fit with this gang, who also married into the Sullivans and eventually intermarried with my Enrights (cue sound of banjos…) But it seems possible that my Enrights, the Sullivans and these other Enrights all came from the same area. I needed to visit that part of Limerick, about 50 km west of Limerick City. Kilcornan. That’s a two-way road. So off we went to Kilcornan, and spent part of an afternoon driving down impossibly narrow country roads (me at the wheel of a left-handed stick shift) looking for a very old cemetery we never found. It too was beautiful country: lush and wooded and overgrown with ivy and oak. We fancied it would be a perfect spot for a leprechaun sanctuary. Did I find anything concrete? Alas, no. But I now have a much clearer picture of where I need to focus my research. And, most importantly to me, I have a feeling for the place, for the land and the skies and the sweet-smelling deep green fields of the Enright homeland. I have a feeling I’ll be back. Posted in Ports of Call and tagged Enright, genealogy, Ireland, Kerry, Limerick. C'est un plaisir de lire ton blog, et surtout de regarder des splendides photos que tu as prises de partout! Nettie, cela me fait très grand plaisir que tu lises mon blog et qu’on reste en contacte ! Hi. Nice blog. I'm from Ireland, now living in Ontario (there are many Enrights in Renfrew County). Yes, most Enrights originated in North Kerry/Southern Limerick area. But spread out of that area too. My Dad's family moved to Tralee area in early 19th century. The Irish name is MacInnreachtaigh which literally translates to "son of the unlawful". Pronounced "Mock-In-Rock-Tig". This is fantastic! I really enjoyed this post. My family is from Listowel, Co. Kerry. My dad's name was Dennis. His dad Michael came over to the U.S. in the late 100 and teens, I believe. I hope to get a chance to go over and look up my family one day. Listowel is well worth a visit. Great read Don, I felt I was with you all the way. I even think we shared a few ales. 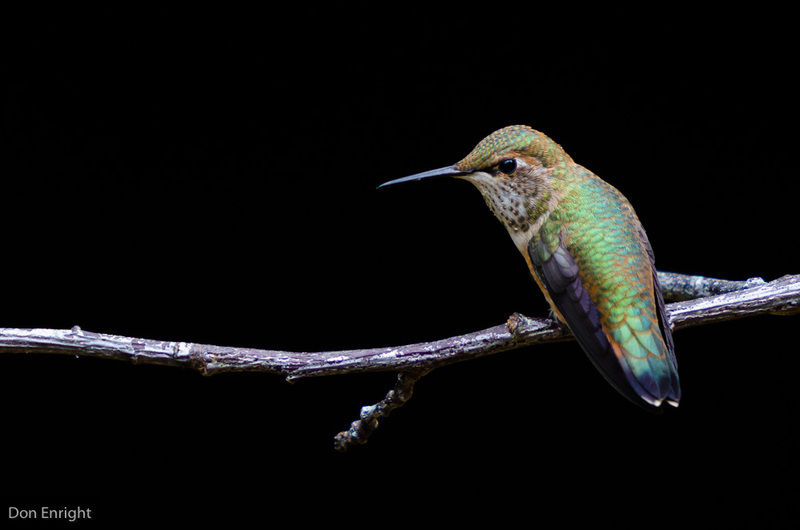 Also as a fellow photographer, I enjoyed your shots; they really embed the reader into your travels. Like you, I really must visit the home country soon & trek the Enright trail in search of long lost cousins. Speaking of which, Laura above is an adopted Chicago cousin. Our branch of the Enright tree sprouted in Australia after my father Maurice Enright emigrated the family from Burnley, Lancashire in 1959. Thanks very much, Peter. One day I would like to meet some of these Enrights down under. We are researching our Enright roots, also from Ireland to Canada, but by way of Quebec. They also immigrated before the famine and ended up in the small town of Frampton. 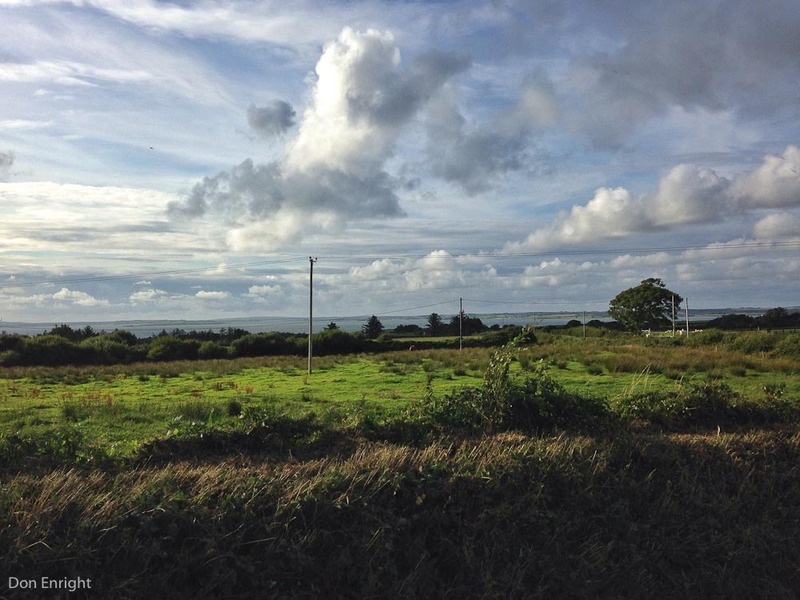 In July 2015 there will be a “Gathering of the Clans” in that area to celebrate the 200th anniversary of the Irish settling there. We plan to go. Enjoy your blog! Our great great great grandmother (from County Kerry) had a sister who married an Enright. They all went through Quebec to upstate New York. We have atDNA matches with descendants of those Enrights (but through our common McCarthy ancestors). However, we’re told by an Enright descendant from that upstate New York family that he is an “exact” y-DNA match with a Kenneth Enright who is descended from the Enrights of Frampton, Quebec — meaning that both Enright families probably have a common Enright ancestor within several generations. Our supposition would be consistent with this bloggers’ reporting that his “Limerick” Enrights also ended up in Tarbert in County Kerry. Hi- that’s interesting re: the Frampton Enrights. I seem to have a DNA match with them, too. I think it’s a bit misleading to talk of Kerry Enrights vs Limerick Enrights- I think it’s more accurate to think of the Enright homeland as North Kerry/West Limerick. Tarbert and Glin, in Kerry and Limerick respectively, are within walking distance of each other. I agree! When I saw this blog of yours pointing out that Tarbert was on the border with Limerick, that cleared things up for me! I think your conclusion was correct. BTW, the McCarthy-Enrights were from the Coolkeragh/Affouley area in Ballybunion Parish (about 10 miles from Tarbert). They immigrated to Quebec in the late 1840s. But then made their way to Moira, NY. We have DNA matches on FTDNA and Ancestry. Hi Don, Really enjoyed your blog. I have been on the trail of our Enrights with a lot of frustration and fun. John Enright from limerick and Mary Hayes from Cork came to Canada prior to 1847 and raised a family of six on the shores of the Welland Canal in St. Catharines. He was employed by Shickluna Shipyards as head teamster and they were involved in building the Catholic Curch in St. Catharines. Information of how and when they got here is non existent at this point. Two years ago we toured Ireland in search of hints of our Enrights. It was a wonderful trip and a beautiful country but I still haven’t uncovered the area of their birth. Really, really felt you walked my walk. Patty- glad you enjoyed it. I didn’t know there were Limerick Enrights in St. Catharines. My Enrights lived near Sarnia for a while before continuing on to East Grand Forks. Best of luck with your research! Hi–I married into a family with Cornelius Enright as a grandfather, who lived in Munhall, Pennsylvania (United States). It’s a pleasure to peruse your blog and learn a little more about their roots! Beautiful photos, by the way! Karen- thanks so much for your note. I’ll have to look for the Hynes name as I do my reading. My latest avenue of research is genetic- I’ve had my Y-DNA done and we’re showing a strong relationship to other Enrights (naturally), plus a certain branch of the Hurleys, and a few Whites and Endertons. It’s fascinating stuff. My husband Colin & i will be travelling like you to Limerick next June in search of answers . We live in NSW Australia and our ancestors came here in 1860 as sponsored settlers ( no criminals here). Patrick Enright and his wife Maragret nee McElligott left the Glin area ( Ballyhahill, Shannongolden )for a better life. They are all burried in Cowra NSW. We would like to find out more about Patricks parents James and Mary Enright who were farmers and very poor. Like you we have come to a deadend because of lost records and we feel we may learn more from making the journey. Even if we don’t get any concrete results, seeing and feeling the surroundings of our ancestral home will be wonderful. Hi Jane- thanks for your comments. Good luck in Limerick- it’s a beautiful place. I hope you find what you’re looking for. Out of interest, who sponsored your ancestors to Oz? Was it a John Hurley? Feel free to email me via my “contact” section. Hi Don good read ! My family also comes from Ballylongford and has a connection to the Sullivan’s My dad was born in Toronto in 1905 and one of his brothers use to say he was the 7th son of the 7th son all born in Toronto. My fathers grandparents family spread over Ontario and the US. When I was in Ballylongford I was told that there were 350 Enright families in the area at one time. My cousin is Michael Enright from the CBC. Hi Paul- When did your Ballylongford ancestors come over to Ontario? I’ve often wondered how Michael fit into the picture. Marriage: 14 Feb 1959 St Matthew the Apostle, Habergham Eaves, Lancs. Witness: Richard Enright; Roy Kilner Jurgen? Hi Don, my mother (now deceased) was an Enright. She descends from Hugh Enright of County Cork (1816-1889) who arrived in Australia February 1838. Hugh wed a Cork woman, Margaret Howard (1821-1868), and had 6 sons plus 3 daughters. He was a rural labourer, settling in the Mudgee NSW district till his wife died, worked as a shearer and farm worker, tried his hand at mining after gold was discovered in the nearby Bathurst district but died a pauper at Parramatta (now a Sydney suburb). I have been tracing the family and believe I have some interesting information with regard to my great grandfather Thomas Enright who was born in 1850. Don – good read. My maternal grandmother is a Minnesota Enright from Clare I was told. My mother had a good geneolgy – in a folder hiding someplace in the house. I will need to dig it out and take a closer look at the post emigration family tree but sounds like we are in the same Enright clan – I remember some talk of 5he Sullivan’s as well. Hi Don. All of my knowledge of my origins fall in with your map. My family came through the U.S. to Saskatchewan , Canada. I would be interested in any upcoming gatherings of the Enright clan. It seems with or with out detours we are all related. I would love to be able to attend any of these upcoming events if people would supply the info as to where and when. Dennis- I’d like to hear more about your family’s history. I didn’t know about the Saskatoon Enrights. I have family connections to Saskatoon, but on my mother’s side. Hi Ellen. My mother was an Enright, and her uncle was Cornelius H Enright, but he was born in 1883 in Mississippi, probably Vicksburg. Since The Irish passed on First names, and Cornelius is an unusual name (at least now), it’s likely I’m somehow related to your spouses family. Hi Don. My last name is Enright. My family heritage come from Limerick as well. My dads first name was Richard middle John and his dad’s first name was John. My dad has two brothers named Paul and Kevin. All have the same dad. Hello Don, This is Robert Patrick Walsh Fister from the USA. I was born near Lexington Ky in 1941, my mother is a Walsh her father Robert Patrick Walsh was born in Ky about 1864. His father Patrick Walsh and his Grandfather John Walsh were born in Kerry and came to tha states about 1849 Patrick was born about 1830 possibly in Moyvane and John my great Grandfather was born in 1806 as far as the date is we are never sure of some of these things. What I am getting at is My G G Grandfather John was supposed to be married to a Julia Enright, John is listed being born in Newtown Sandes Kerry. I do find a John born in 1806, I do believe that it is the correct John Walsh. What I would like to find if anyone has any idea of this family or any info on julia Enright. I read all I can about Kerry Ireland and enjoy your articles. 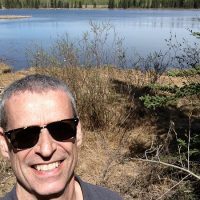 Greetings Don, this is Philip Enright from Markham, Ontario. My late father, John Christopher Enright, was one of 9 children born to Joseph and Margaret Enright in the town of Foynes, County Limerick. My father (born in 1929, died 2011) went to London England in the early 50s to find work, met and married my mother there and the two of them emigrated to Toronto in 1958 for a better life. I came along in 1960. I have approximately 50 first and second cousins all going by the Enright name living in and around Limerick county. My father’s last wish (decidedly un-Catholic!) was to have his ashes strewn in the Shannon River at the edge of Foynes, and that it was what I did after his death in August 2011. Your photos are lovely and remind me of the rural beauty of my ancestral home. Philip- thanks for sharing your Enright family story. Limerick is a beautiful place, especially along the shores of the Shannon.